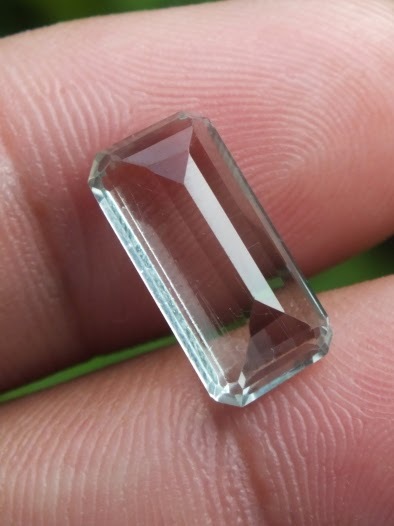 This is a very beautiful Natural Prasiolite Quartz, or commonly known as Green Quartz. 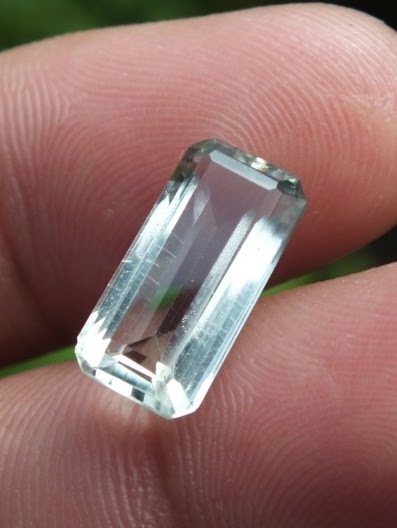 The cutting is perfect octagon cut. 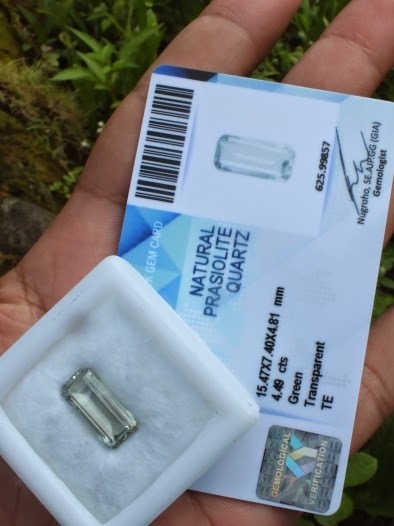 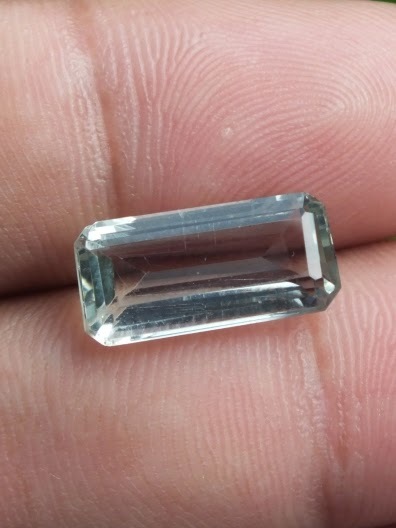 This green quartz is already checked by SKY Gems Lab Jakarta. 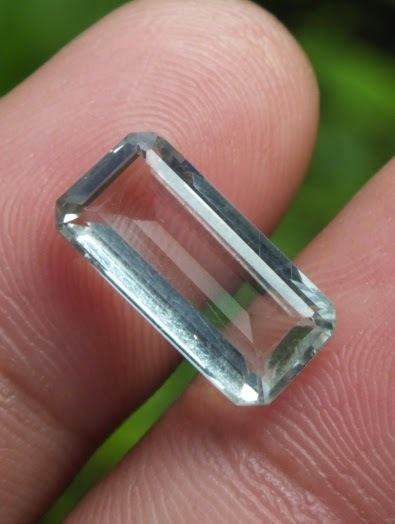 The size of the gems is 15,4mm x 7,4mm x 4,8mm.